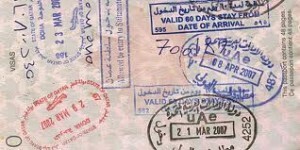 The UAE visa rules may change from one to another in a time frame. This rule was applicable in Dubai DNRD. The present status of it in Abu Dhabi is currently not available. Do you have any idea when will this be implemented in Abu Dhabi. Is this already implemented in Dubai. Can you apply for visa in Dubai if you live in any other emirates. Visa rules change from time to time. For the latest updates you should contact directly with the immigration department. Visa for students are allowed on a humanitarian basis. If your parents' visa is from Dubai then you can get the residence visa from Dubai. Can a son over age of 18 under Father Sponsorship are eligible to work in UAE. What are the requirements so that he can earn a living to present in a company to show he can work.Please let me know.